Currently, Shorashim has seven locations, two in the United States, two in Mexico, and one each in Argentina, Brazil, and Uruguay. 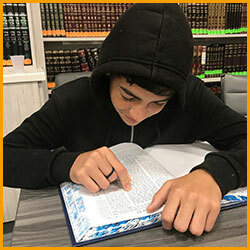 Each location shares our mission of connecting Jewish teenagers with our heritage and Torah in a loving environment. No one else understands us and connects with us like the rabbis and teachers at Shorashim. It’s a Shul and a chill spot. Great people.